Dr. Bromley is featured in ACUE’s Career Guidance and Readiness course. Bromley is currently an Associate Professor at Franklin College, and she serves as the department chair. She primarily teaches courses related to counseling and clinical psychology, as well as the professional development courses within the Psychology major. Previously, she taught undergraduate and graduate students at both large public and small private institutions as an adjunct instructor while working full time as a licensed psychologist in university counseling centers. Bromley is a licensed counseling psychologist with experience in a variety of clinical settings including community mental health, domestic violence, private practice, and university counseling centers. Prior to coming to Franklin College, Bromley was a staff psychologist at the University of Pittsburgh providing individual, couples, and group therapy to students. She also provided supervision and training to predoctoral graduate students as part of the APA-accredited internship training program. Bromley earned her undergraduate degree in Psychology from the University of Dallas in Irving, Texas. She holds a master’s degree in Clinical Psychology from Duquesne University in Pittsburgh, PA, and she earned her PhD in Counseling Psychology at the University of Akron in Ohio. Her training in Counseling Psychology and her clinical work with college students helped her develop her interest and passion in students’ career development. Bromley’s current focus on research has been on the scholarship of teaching and learning. She has presented at regional and national conferences on using games to teach, research self-efficacy, and mentoring programs. Her most recent work has focused on integrating career development in the psychology undergraduate curriculum. Bromley presented on “Faculty’s Role in Preparing Students for Their Careers” at the Midwestern Psychological Association (MPA) conference in Chicago (Bromley & Paulsen, 2017). She serves as a reviewer for the journal The Scholarship of Teaching and Learning in Psychology. 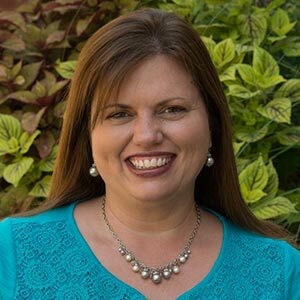 Bromley recently earned recognition with receiving the Faculty Steering Committee Distinguished Service Award at Franklin College, and she was selected to serve on the Psi Chi Steering Committee for MPA to help develop programming for students.